How Did You Survive the Time Change? Well to get to the main point of this, the article I referred to at the beginning discusses how a lack of sleep and sleep deprivation has negative consequences to relationships, (and I would add to families and the work place.) In particular, we act more selfishly, we become more volatile and impulsive, and we have less control over our emotions. At home, we are more likely to argue with our loved ones! So what is the take away? 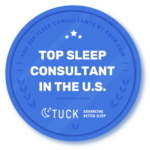 We all need sleep and as a Pediatric Sleep Consultant, I know we all need consolidated and restorative sleep. If a one- hour time change can wreak so much havoc, just imagine how much more many sleepless nights, can wreak. Overtired and overstressed parents, and the main cause of this is that their children are not sleeping; not because they’re changing their clocks twice a year. If you feel you are one of those parents, and you know it’s because your children are not sleeping, let me help you. 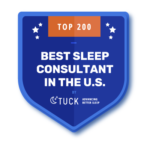 I can get your kids sleeping again and allowing all of you to get the sleep you desire and more importantly, need! Let me know what you think. Was this article helpful? Is There a Link Between Obesity in Children and an Inadequate Amount of Sleep? 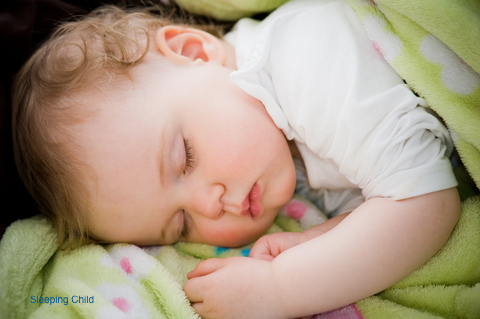 Did you know that children who don’t get the proper amount of sleep are at risk for obesity? 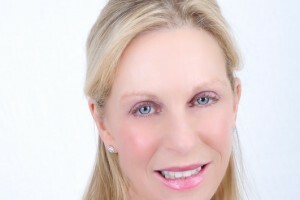 A study performed by Barbara Fiese, director of the Family Resiliency Center at the University of Illinois at Urbana, and reported at Webmd.com looked at children who had at least ten hours of sleep a night, consistent mealtime routines, no televisions in bedrooms and screen time limited to two hours a day. As important as all these conditions are, an adequate amount of sleep was found to be the most important factor in a child having a healthy weight. Adults were also studied and found to need at least seven hours of sleep a night as well as consistent mealtimes, to keep their body weight at a healthy level. Additionally, when parents respected and valued their own sleep needs, it had a positive effect on the number of hours their children slept. When you make sleep hygiene an important part of your healthy lifestyle, everyone wins! What about you? Do you feel you get the proper amount of sleep needed everyday? I think we all know how bad we feel when we don’t get the proper amount of sleep. It’s very obvious to us (we can’t keep our eyes open or focus properly) and to those around us (we’re cranky and short tempered.) But overtime a lack of sleep can lead to sleep deprivation, which according to Dr. Jeremy Dean, a psychologist and author of the book, Making Habits, Breaking Habits: How to Make Changes that Stick, can have very grave psychological effects. 1. Our brains have to work harder. This is evidenced by imaging studies of sleep deprived brains working overtime to pump energy into the brain’s prefrontal cortex. 2. Our short term memory, also known as “working memory,” necessary for remembering basic functions, and complex tasks; as well as our long term memory, necessary for consolidating, ordering and integrating all the things we learn and do, is compromised. 3. We have trouble making decisions. 4. We revert back to what comes naturally or easy for us. Dr. Dean uses a good example for this. “When we are sleep deprived it is more common for us to eat junk food.” There isn’t a lot of thinking or planning involved in grabbing a bag of chips! 5. We are more prone to take risks. We have all experienced negative consequences from bad choices we have made. Well, when we are tired, logic and reason tend to fly out the window, and we are apt to make those very bad decisions once again. 6. Brain cells die. In a study using mice, 25% of certain brain cells died when they were sleep deprived. 7. Mania, psychosis, paranoia, hallucinations and aggression, are observed in people who suffer from mental illness and this can become a vicious cycle. 8. We are more likely to be in a car accident, because we are unaware of how overtired we really are. We can feel fine and able to drive one minute, and then in the next minute, it hits us and we are falling asleep at the wheel. Unfortunately, children are a bit more complex and cannot just erase a sleep debt in one night; and as long as they are in this overtired state, they will not sleep well or properly- another vicious cycle. Avoid this problem by making sure your child gets the sleep they need every day. Not only will they be happier and healthier, you’ll start getting the sleep you need too!